Our horizontal end milling machines are specially designed for milling sets of profiles (both aluminum and vinyl) in which the cutter unit needs to be changed several times in the same set. 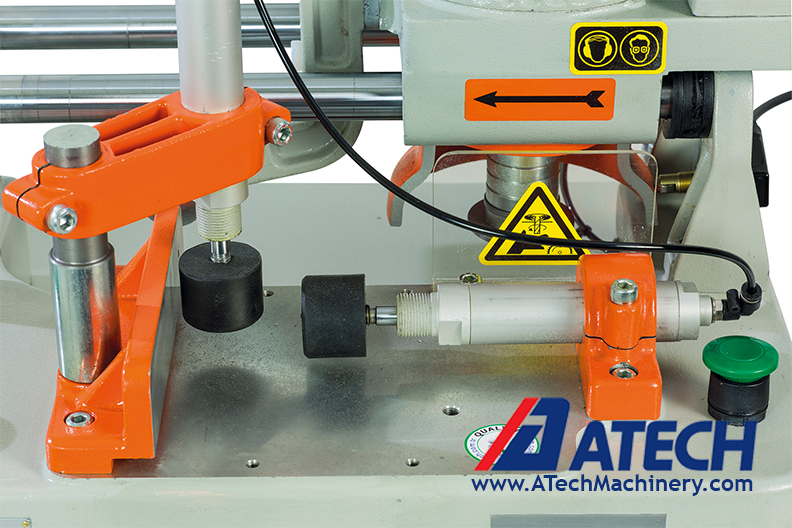 We supply automatic models, where the machine is equipped with a quick-release cutter stack holder making different applications on profiles quicker and easier. hydro-pneumatic feed to provide additional power and to ensure accuracy. We also supply custom cutter stacks for your specific profiles. As an option our end milling machines are equipped with pneumatic spray mist lubrication system for the end milling of aluminum extrusions. Machines are also customized to meet specific stroke length requirements.